Short Version: A long, long time ago, I can still remember, how the MyTouch 3G’s touchscreen used to make me cry. And I knew that if they had their chance, that T-Mobile could add a keyboard, and maybe we’d be happy for a while. And how May/June made me shiver because T-Mobile has delivered – a MyTouch with a keyboard as useful as a Sidekick’s. T-Mobile has been on an Android roll lately. 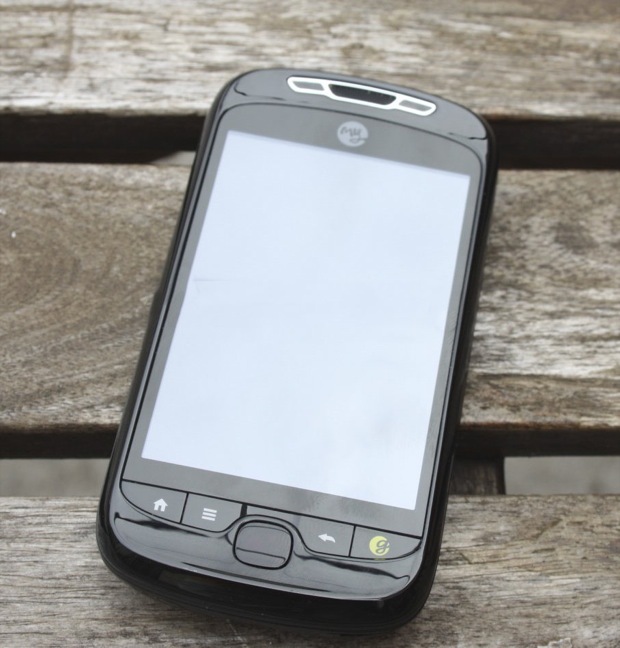 With a number of great devices – including the Granddaddy, the G1, and the older uncle, the MyTouch, the company essentially owns the Android space, at least in terms of handset availability. Obviously other folks – ahem Evo cough Droid – own the mindshare, but T-Mo is plugging away like a champ. The introduction of the MyTouch Slide gives Blackberry and, more importantly, Sidekick lovers something to lust after. The device, which looks like the standard MyTouch 3G, slides down to reveal a small but usable keyboard. T-Mobile worked closely with HTC to create a unique but basic Android experience. For example, the MyModes feature allows you to update the look and feel based on your mood and activities. Like a mullet, you can set things up so it’s business up front and party in the back. There is also a Faves feature to replace MyFaves. This new system is basically a carousel of your favorite friends and brings in social media – Twitter and Facebook, mostly – updates as well as contact information. Otherwise, you’re looking at a stock Android 2.1 install without all of the HTC Sense UI nonsense. Call quality was strong and I had good reception in Las Vegas and Brooklyn. Your results may vary. Battery life is strong. It lasts about 18 hours with minimal usage and about 7 hours of heavy browsing and calls. It also has a unique and useful voice control function very similar to the iOS voice command system. The phone also has a full-sized headphone jack, which is a mitzvah. The phone is clad in black plastic and feels a bit chintzy. The keyboard, however, has none of the play of previous, similarly shaped phones like the Palm Pre and it pops out with an authoritative click. In terms of usability, the phone bogs down a bit when usage gets too heavy. The unique contacts carousel is cool, but when there are other things processing in the background the animations start to slow down. Other than a few tiny details, I’m quite pleased with the MyTouch. It’s an entry-level phone for messaging addicts and that’s just fine. At about $180 with contract, you really can’t go wrong and HTC worked closely with T-Mobile to offer a unique but pure Android experience. Who is this for? It’s for folks who miss their Sidekick and want a keyboard for messaging. The MyTouch 3G Slide’s processor won’t win the blue ribbon at the County Fair, but it is an impressive bit of cellphone.